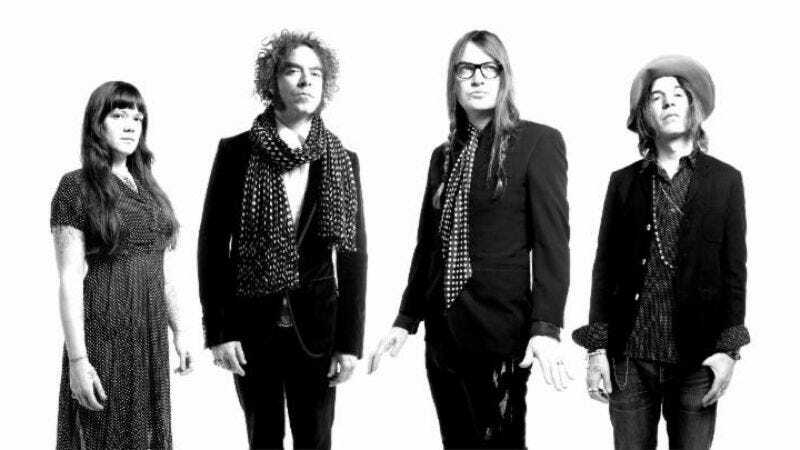 The Dandy Warhols, who just finished a tour of the West Coast and the South and are currently making their way around the world, dropped a new single today on all of your favorite streaming services. The latest addition to the Dandy Warhols oeuvre, “You Are Killing Me,” is the public’s first taste of new music from the band since their 2012 album The Machine. It’s also the band’s first output on Dine Alone Records, to which they signed in 2015. “You Are Killing Me” features a sparse arrangement consisting of straightforward, chugging, overdriven guitar, multi-tracked vocals, and slightly off kilter harmonies. Everything about the new tune, from the instrumentation to the lyrics, comes off as effortless, but the simplistic hook is memorable enough that heads will surely nod. A new album has yet to be announced, but “You Are Killing Me” can be downloaded on iTunes today.